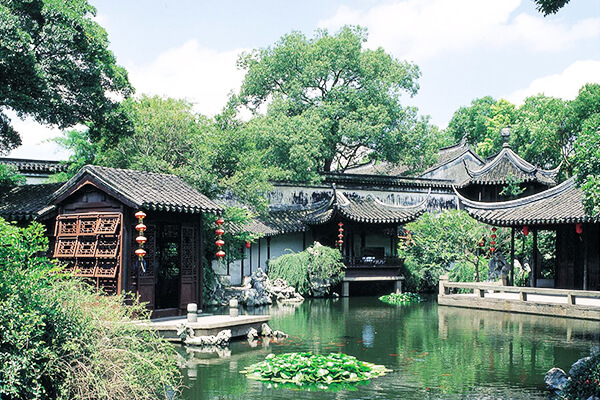 It is a typical Qing dynasty garden, has unique layout, the architectures are floating on it. Tuisi Garden was built in Qing Dynasty from 1885 AD to 1887 AD. The name comes from a saying “Be loyal to the emperor when serving the court and reflect upon oneself when retreating from the post” in ZuoChuan. The garden takes an area of 9.8-mu Garden, simple quiet and elegant. 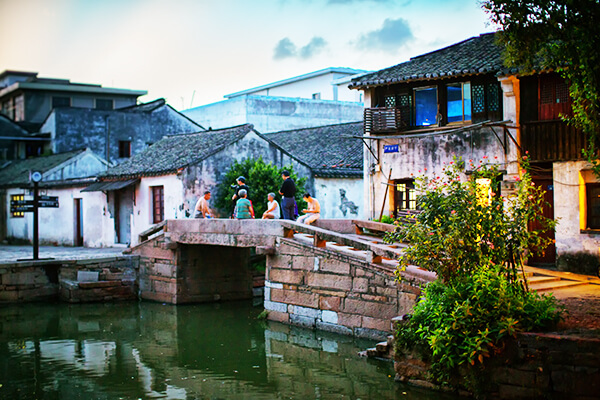 It is a typical Qing dynasty style garden, has unique layout, pavilion, terrace, tower, porch, bridge, hall and house centered by pond as if these architectures are floating on it. Chinese landscaper Chen Congzhou regards Tuisi Garden as “Waterside Garden”. In 2001, Tuisi Garden was listed as world’s Cultural Heritage. The whole garden can be divided into four sections, which are the hall, the inner chamber for womenfolk, the central courtyard and the garden from west to east.